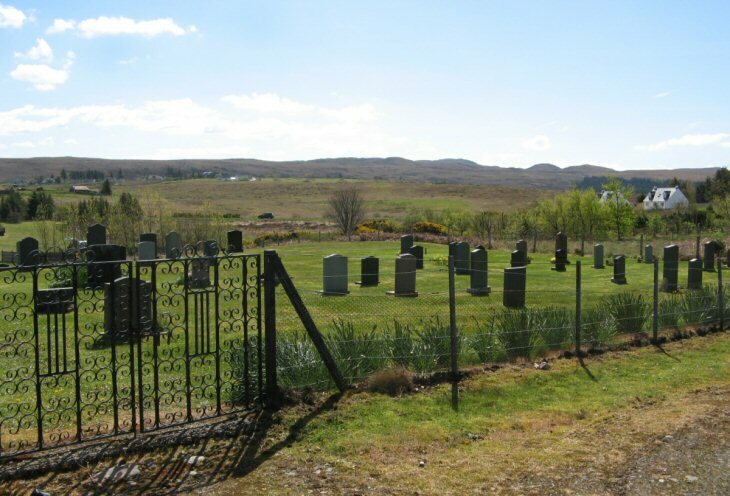 Ross & Cromarty Roots | Laide New Burial Ground. This is an extension of the adjoining Laide Burial Ground (Image No. 3755). Picture Added on 24 May 2010. When did burials start in new Laide Burial Ground? Added by Sandy Fraser on 23 April 2012. Can't say exactly, Sandy. Earliest date inscribed is 1957, but may not be burial date. Certainly from early 1960s. Added by Roddie on 24 April 2012.